Olive oil is a complete powerhouse when it comes to hair care. The beneficial oil can help your locks look stronger, thicker and longer. The best way to ensure that you use it on a daily basis is by keeping it handy – keep it in your kitchen as well as in your bathroom. The moisturizing oil can also be used as a conditioner or you can heat it and use it for hot-oil treatment. As one age, the structure of the hair undergoes a slow change, thereby making it weaker and resulting in hair loss and greying. Genetic or hereditary problems are cited as the main reason for hair loss. Other causes of hair loss include pollution, excessive use of hair products, hair colour, unhealthy lifestyle and eating habits. 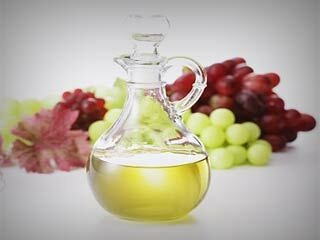 Using olive oil for hair growth is perhaps the best option for hair loss. 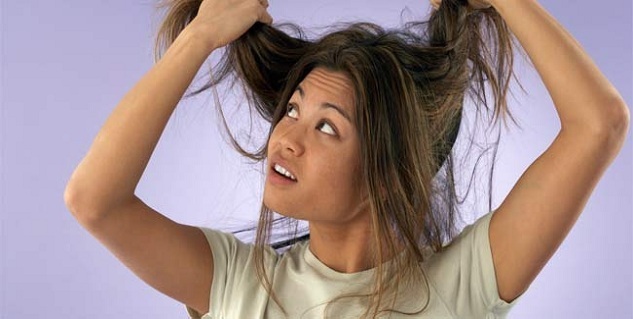 Dandruff comes from a scalp which is dry, and flaky. Lemon helps loosen dandruff while olive oil moisturizes the new, exfoliated layer of skin. To get rid of that scurf, mix equal amounts of olive oil, lemon juice and water. Massage into damp scalp, leave on for 20 minutes, rinse and shampoo. This dandruff-fighting treatment should be used anytime in alternate weeks. Too much acidity from lemon could cause your hair to grey prematurely. Winters make your hair prone to breakage, splitting, and frizzy flyaways giving your sleek haircut a messy and unkempt look. This is a time when you can use olive oil for hair that is smooth, has weight and moisture and is problem-free. Just smooth a little olive oil on your fingers and run them through your hair after you've styled it to give your ends and flyaways the kiss off. You are in love with your regular conditioner which means you are in love with all the chemicals in it too. Olive oil could easily substitute it for bringing moisture back to your hair and make it look shiny. 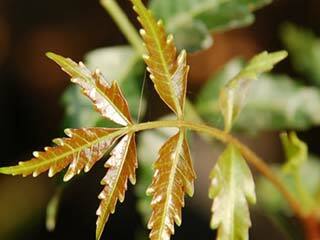 It is free of chemicals, rich in vitamin A, E, and antioxidants. It works by protecting the keratin in hair and sealing the moisture in. 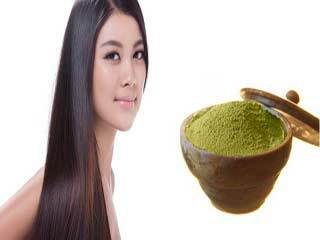 It is also believed to remove sebum buildup which blocks the new follicles and hinders hair growth. 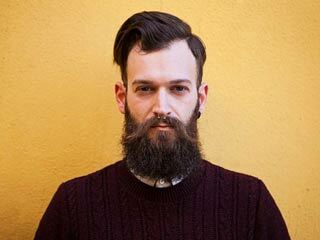 If your hair looks lifeless, doesn’t hold a curl, and is hard to style, it probably is undernourished. 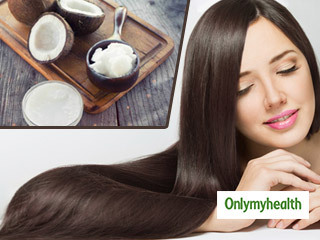 Find resort in a hot oil treatment which features olive oil for hair that is easy to manage and style. Coating your hair in half a cup of olive oil, leaving it for 30 minutes, and then shampooing it off can return the much-needed moisture to your hair. All those brittle ends and frizzy curls make your hair feel like steel wool. Don’t worry, olive oil can help soften your hair, making it more malleable. A natural, deep conditioning treatment of olive oil each week can replace the extra silicone ingredients used in conditioners that give your hair a false feeling of softness of for a few hours. A hormone called DTH (dihydrotestosterone) is the culprit in many cases of hair loss, as it causes the hair follicle shaft to narrow. Olive oil actually stops this from happening, which means you can hold onto your hair for longer. 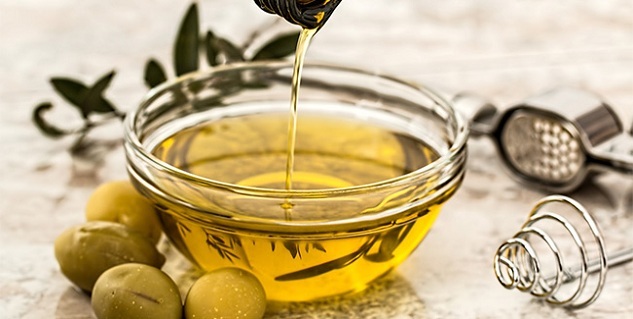 Benefits of olive oil for hair growth also go a long way in keeping promoting good health for your scalp, fighting fungi and bacteria, and improving the blood circulation. When your blood circulation becomes better, your hair follicles get stimulated, producing hair strands that are thicker and healthier. It is actually amazing to see how olive oil and hair growth have become synonymous with it working alone excellently to prevent or slow hair loss. 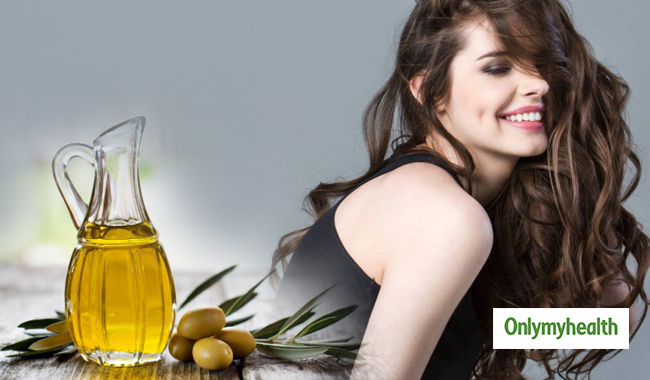 Experts have proven that regular use of the olive oil helps to restore the shine in your hair. To ensure visible results, learning the right application method is equally imperative. To use olive oil for hair growth, take 20 to 30 ml in a bowl and add approximately 10 ml of coconut oil to it. Warm this mixture in a microwave, while ensuring not to overheat it. The oil should be warm enough to touch without scalding the fingers. 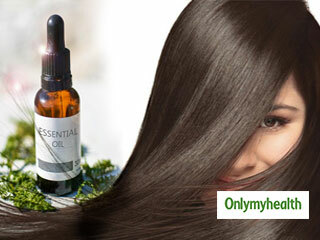 Part your hair in sections and apply the warm oil gently with your fingertips to the scalp. Continue this procedure, moving from section to section till the whole scalp has been covered. Take some more oil on your palm and gently apply the oil from root to tips while holding each section individually. This will condition the entire strand of hair and prevent breakage and split ends. Soak a towel in hot water and squeeze out the extra water. The temperature of the towel should not be uncomfortably hot. Wrap this towel around your hair and leave it on for around twenty minutes. This will not only steam your scalp for better absorption of oil but will also enhance the blood circulation in the entire scalp. During summers, wearing a shower cap after oiling your hair and leaving it on for thirty minutes would provide sufficient warmth to the scalp. Wash your hair with a gentle shampoo. You can also use a baby shampoo as it is considered to be very mild. Repeat this procedure once or twice a week over a couple of months to witness best results. Some herbs and spices also enhance the effect of olive oil. 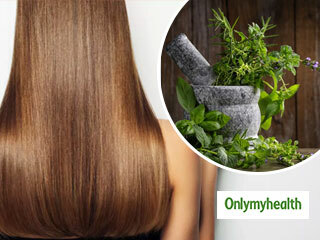 A teaspoonful of fenugreek seeds, when added to olive oil and heated gently, makes a powerful concoction that prevents dandruff and promotes hair growth. Please understand that even though olive oil can work wonders for your hair, you must complement the olive oil treatments for hair with other lifestyle changes for even better results. Enriching your diet with good foods, such as almonds, seafood and Greek yogurt, can help your hair become healthier.